Billions and billions of wasted dollars — $12 to $44 billion dollars, in fact. That's how much poorly coordinated care transitions from hospitals to other care settings cost each year, according to a Center for Healthcare Research & Transformation (CHRT) report. Furthermore, CHRT notes that poor transitions contribute to poor health outcomes, such as harm caused by medication errors, procedure complications, infections, and falls. Care transitions are so vital to patient safety and reducing healthcare costs that they were the subject of the five-year Community-based Care Transitions Program (CCTP) initiative. Created by the Affordable Care Act, CCTP tested models for improving care transitions from the hospital to other settings. The goals of the CCTP: improve transitions of beneficiaries from the inpatient hospital setting to other care settings; improve quality of care; reduce readmissions for high-risk Medicare beneficiaries; and document measurable savings to the Medicare program. Organizations looking to improve their delivery of safe, high-quality care and decrease waste would be wise to focus on improving care transitions. Consider following these six best practices. To help ensure care transitions that occur within your organization and between settings provide continuity and safety for patients, produce policies and procedures that establish protocol and standards to address every such transition. All staff with care transition responsibilities should receive training on these policies and procedures upon hiring and re-training at least annually and whenever policies and procedures undergo revisions. Efforts to improve care transitions should be ongoing. To help ensure they are not overlooked, assemble a task force or committee with a responsibility of continually assessing your organization's existing care transition processes, policies, and procedures. This task force should review data on care transitions, working to identify areas for improvement and making recommendations for changes. The task force should also review literature on care transitions, looking for new, evidence-based practices that may be worth implementing. While there are many factors that can contribute to poor care transitions, and every organization will need to identify and address its own obstacles to success, analysis of care transition trends throughout healthcare reveals some common themes. Communication breakdowns. "Care providers do not effectively or completely communicate important information among themselves, to the patient, or to those taking care of the patient at home in a timely fashion." Patient education breakdowns. 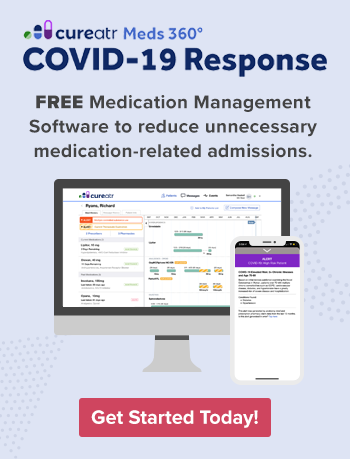 "Patients or family/friend caregivers sometimes receive conflicting recommendations, confusing medication regimens, and unclear instructions about follow-up care. Accountability breakdowns. "In many cases, there is no physician or clinical entity that takes responsibility to assure that the patient's health care is coordinated across various settings and among different providers." If your organization is struggling in some fashion with care transitions, closely reviewing how you approach communication, patient education, and accountability concerning care transitions will likely reveal shortcomings. Looking for inspiration on how you can improve your care transitions? Emulate or find inspiration in the impressive work of other organizations. Innovative information technology (IT) companies have launched a variety of solutions in response to the growing demand for assistance with care transitions. Some of these technologies are standalone systems and apps developed specifically to aid in the transition of care while others are packaged in with other offerings to assist in addressing broader issues, such as communication, education, and medication adherence. In addition to IT solutions, you may want to incorporate other types of tools into your efforts to improve care transitions. Fortunately, you have many to choose from, as the government, national associations, individual healthcare organizations, and others have developed resources and made them accessible online. Whole-Person Transitional Care Planning: Available from the Agency for Healthcare Research and Quality (AHRQ), this tool gives discharge planners a set of prompts to identify readmission risks and take steps to ensure those risks are addressed in the transitional care plan. 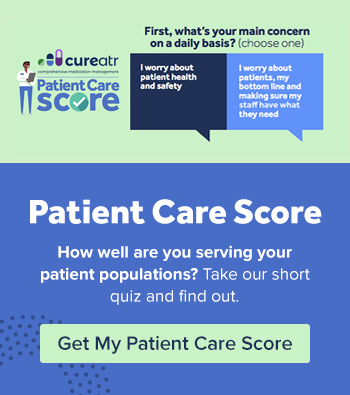 Discharge Process Checklist: Also available from AHRQ, this tool, adapted from the Centers for Medicare & Medicaid Services (CMS) Conditions of Participation, provides a checklist of discharge elements that CMS states should be provided to all Medicare and Medicaid patients. Advancing Effective Communication, Cultural Competence, and Patient- and Family-Centered Care: A Roadmap for Hospitals: Developed by The Joint Commission, this resource is designed to "… inspire hospitals to integrate concepts from the communication, cultural competence, and patient- and family-centered care fields into their organizations." Next Step in Care: This website, supported by the United Hospital Fund, includes a variety of provider and caregiver resources and checklists to help plan and implement safe and smooth transitions for chronically or seriously ill patients, with many materials available in different languages. BOOSTing (Better Outcomes for Older adults through Safe Transitions) Care Transitions Resource Room: This multi-use website, developed by the Society of Hospital Medicine, provides a wealth of materials to support safer hospital discharge for older patients. Coordinated-Transitional Care (C-TraC) Toolkit: Developed by researchers and clinicians at William S Middleton Memorial Veterans Hospital and University of Wisconsin–Madison School of Medicine and Public Health, C-TraC is a low-resource, telephone-based, protocol-driven program designed to help reduce 30-day rehospitalizations and improve care transitions during the early post-hospital period.